This sample illustrates how to convert a PDF into a HTML page. 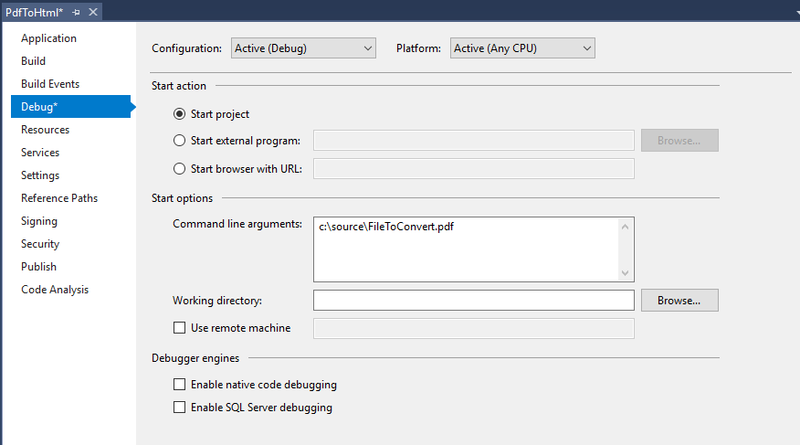 Solid Framework has supported a PdfToHtmlConverter class for many years. This class provides a very simple mechanism for creating HTML from a PDF, and creates HTML that is “re-flowed” which is ideal for reading the PDF on a small device. However “re-flowed” HTML pages do not look the same as the original PDF since the order of some elements may have been modified. This sample builds the HTML using the Core Model rather than using the PdfToHtmlConverter class. This allows the fine tuning of the conversion process and creates an HTML page that is visually similar to the original PDF. Download the sample PdfToHtml sample code which is a zip file. Specify the path to the PDF as a command line option. You will get an error the first time that you try to convert a file, as you will need to enter license information. The easiest way is to set the path to the location where you saved the license file. Alternatively you can enter the contents of the license.xml file directly into your code..
Running the sample will then create an HTML file in the same folder as the source file.